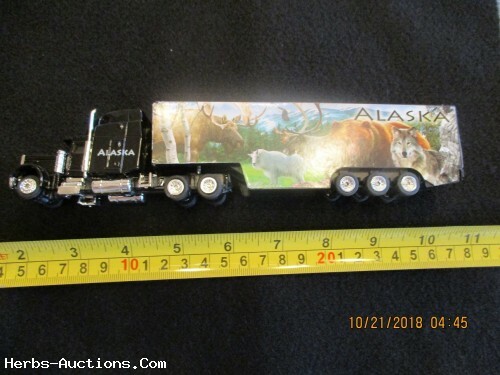 Small toy semi truck with Alaska theme on both sides of the trailer.. 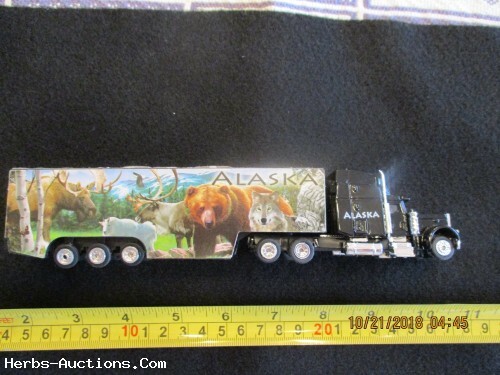 This would make a great gift for truck enthusiast. I don't have A box but will pack it carefully. Shipping & Payment Details Check with seller before bidding on S&H Cost. Item will ship after payment clears the bank.